The caterpillar lives according to literature particularly on fireweed (Epilobium). Spargania luctuata inhabits partly damp, often forest-near sites like bogs, forest edges, swampy plantations, but also dry forests with clearings and wood-rich grasslands. The detailed claims are apparently not known for sure. On the eastern Swabian Alb, I met the moth together with Coenonympha hero and Zygaena osterodensis in humid forest fringes. The pupa hibernates. 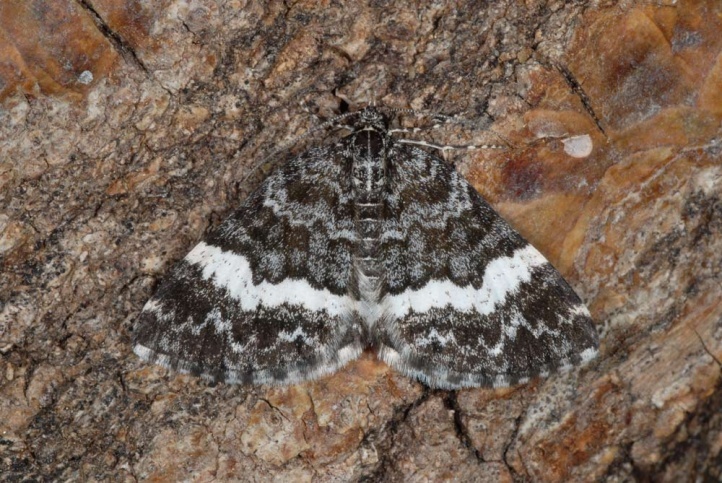 Adults are found from April to early September, often in two generations. On the eastern Swabian Alb the peak should be in June and early July. The second generation is only partially. The moths are often sitting on the trunks. The caterpillar is expected from May to early October. In the case of just a single generation, the maximum should be in July/August. Spargania luctuata currently in strong decline as fringe-rich, bright and moist woodlands decrease extremely (dark forest management, single tree selection, eutrophication). Spargania luctuata is distributed Holarctic (Europe, temperate Asia, North America).